The Daniel Defense pistol grip is an improvement to the old standby A2. Daniel Defense designed the grip with ergonomics and controllability in mind. The grip shares the angle of the classic 1911 pistol for the most natural hand position and comfortable feel. 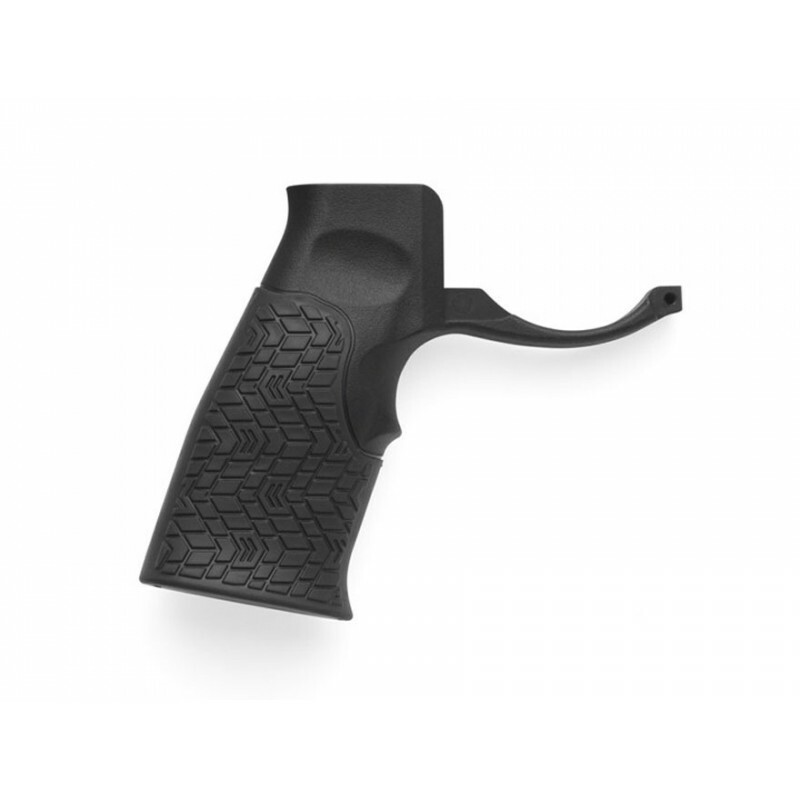 This pistol grip incorporates an oversized trigger guard covering the gap between grip and lower receiver which can wear on the shooters hand and easily accommodates for gloves. Installation is simplified by the fact the integral trigger guard doesn’t require a roll pin so there is a reduced chance of damaging the lower receiver. A soft touch overmolding section enhances grip, wet or dry.